Top Attorney – Raymond P. Shebell Sr.
Shrewsbury, NJ/Press/May 3, 2018 – Raymond P. Shebell, Judge and Attorney at Shebell & Shebell, LLC was selected for inclusion in the forthcoming Top Attorneys of North America 2018-2019 edition of The Who’s Who Directories. 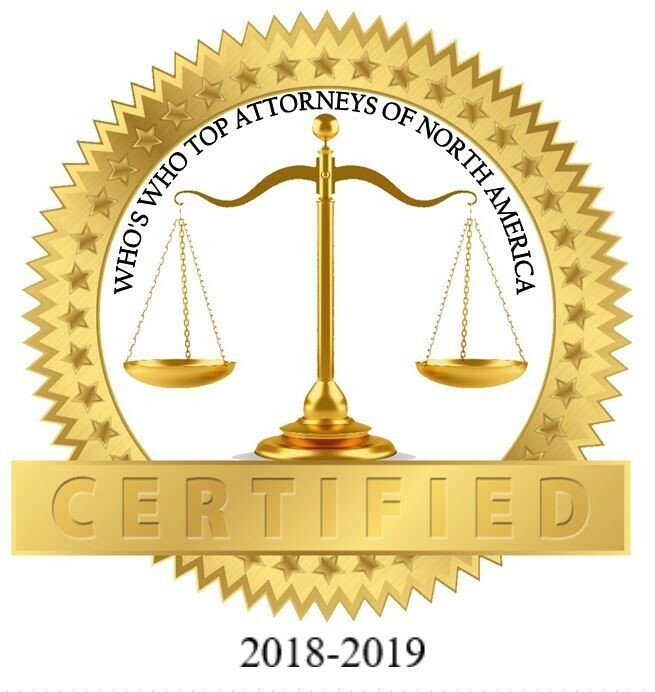 The accomplishments attained by Mr. Raymond P. Shebell in the field of Legal Services, warrants inclusion into The Top Attorneys of North America. “A passionate advocate of justice for my clients.” – Raymond P. Shebell Sr.
People who suffer from injuries through the neglect or intentional wrongdoing of another person or corporation, may experience physical and emotional challenges. The Law offices of Shebell & Shebell is honored to be a legal resource to clients in New Jersey, celebrating over 90 years of service, the firm is located in Monmouth County, and is dedicated to clients facing a variety of legal matters. The firm focuses their attention on personal injury and workers’ compensation, but also have significant experience in medical malpractice, criminal defense, employment discrimination, social security disability, and civil rights law. Raymond P. Shebell is licensed to practice law in the State of New Jersey, the U.S. Supreme Court, the U.S. District Court and the U.S. Tax Court. A true trial lawyer, Raymond Shebell is known among his peers as a formidable cross-examiner, particularly with medical witnesses. He thrives in the high-pressure environment of the courtroom, and never loses sight of why he practices law—to get justice for his clients. He is a passionate advocate who has dedicated his life to fighting for people who have been injured, harmed or wronged. Mr. Shebell has followed in the footsteps of his father and brother, a judge who served on the Appellate Division of the Superior Court for over fifteen years, occasionally serving temporary appointments on the New Jersey Supreme Court. Currently, Raymond Shebell works alongside his nephew as they continue the family’s mission of getting justice for those who have been wronged. Mr. Shebell a graduate of Seton Hall University School of Law, Juris Doctor, and Monmouth College, receiving his Bachelor of Arts, started his career as an Assistant Attorney for the City of Asbury Park. He was then appointed as Municipal Court Judge for the City of Asbury Park, as well as Bradley Beach and Neptune Township. He has also served as Special Counsel and City Attorney for the City of Asbury Park. His extensive record of public service has given him valuable perspective as a plaintiff’s attorney. Mr. Shebell is intimately familiar with all aspects of New Jersey’s legal system, which enables him to develop extremely effective legal strategies for his clients. Raymond Shebell is active in many professional associations, where he contributes his vast knowledge of Workers’ Compensation law and serves as a mentor to newer attorneys. Some of the many associations he has served include the Workers’ Compensation Committee, the New Jersey State Bar Association, the American Bar Association, the American Association for Justice, the American Society of Law and Medicine, the American Judges Association, the American Trial Lawyers Association, the New Jersey Institute of Municipal Attorneys, The Asbury Park Chamber of Commerce (President 1982-1983), the Monmouth Bar Association (Chairman 1982-1985), and National Trial Lawyers Top 100. Widely respected as New Jersey’s top Workers’ Compensation lawyer, Raymond Shebell has been honored as a New Jersey Super Lawyer, an elite group of attorneys known for their professional excellence. He has also been named a Best Lawyer in America (2006-2014), and was listed in the Who’s Who Global Directory (2008-2014). Be the first to comment on "Top Attorney – Raymond P. Shebell Sr."